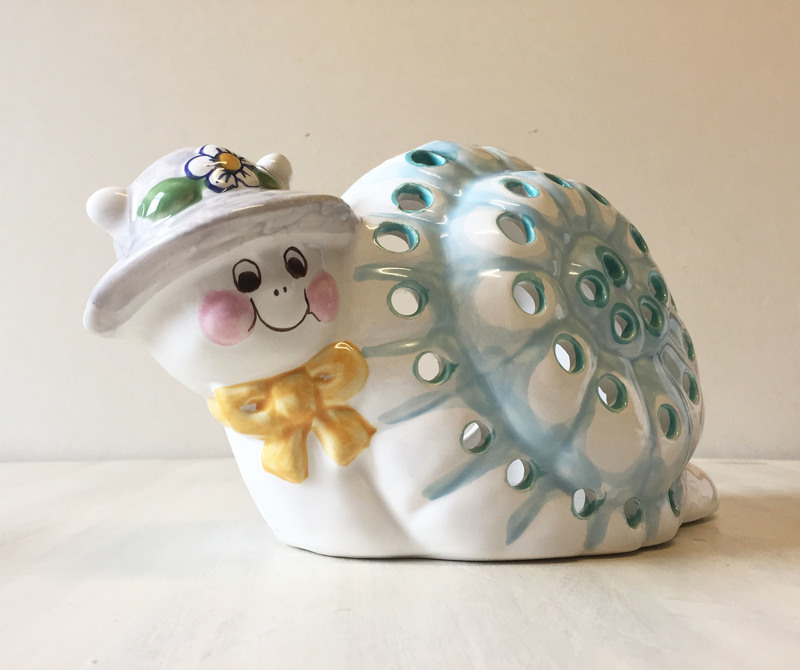 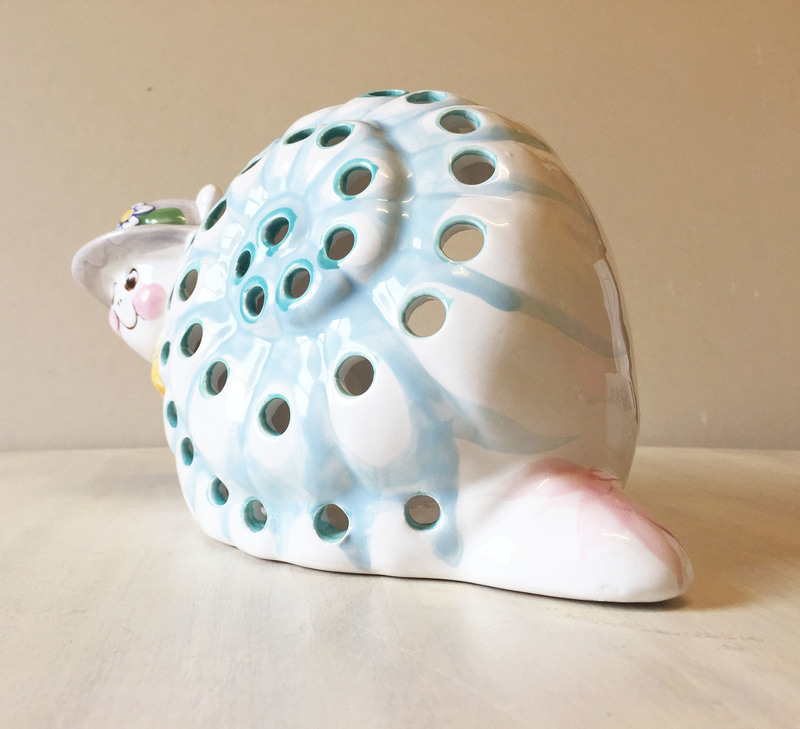 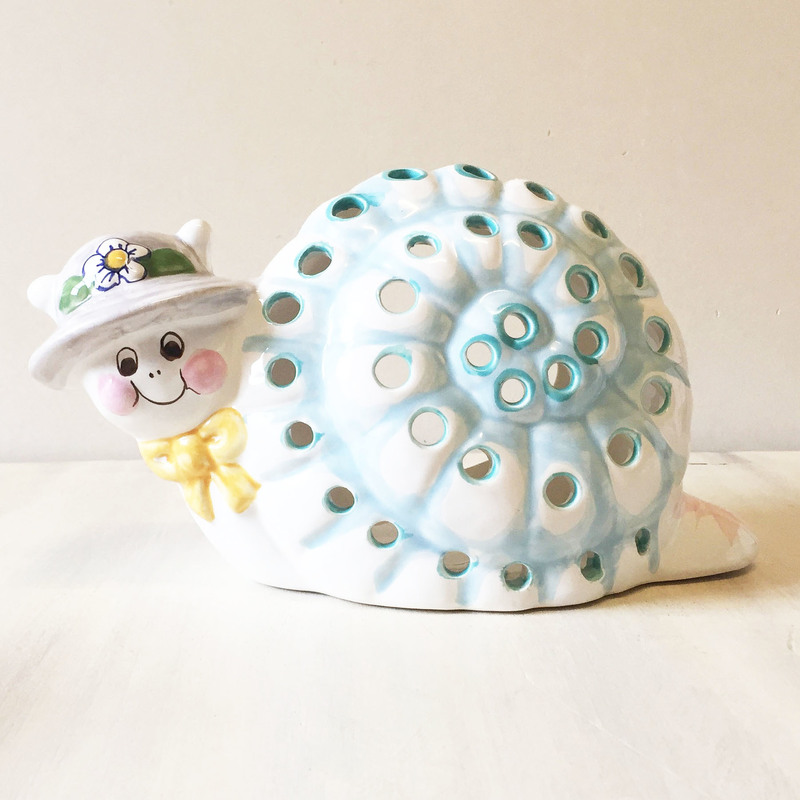 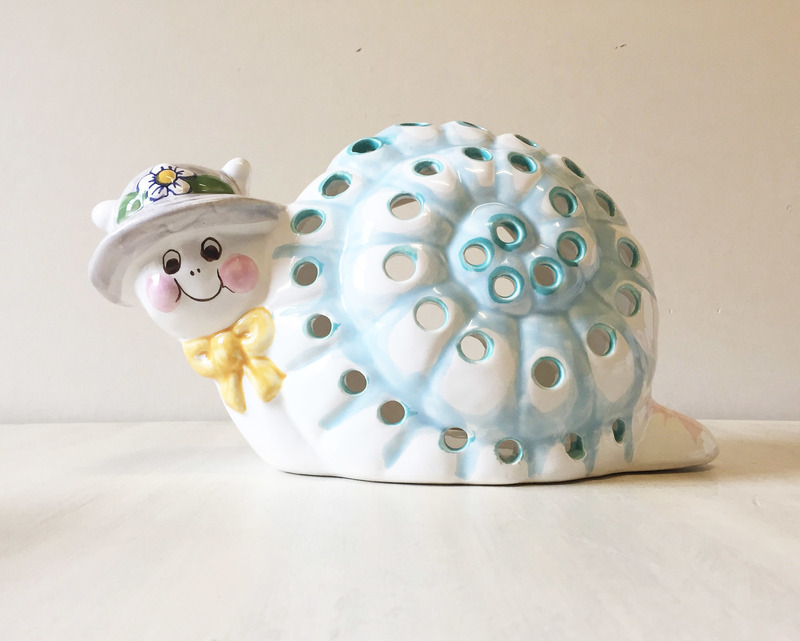 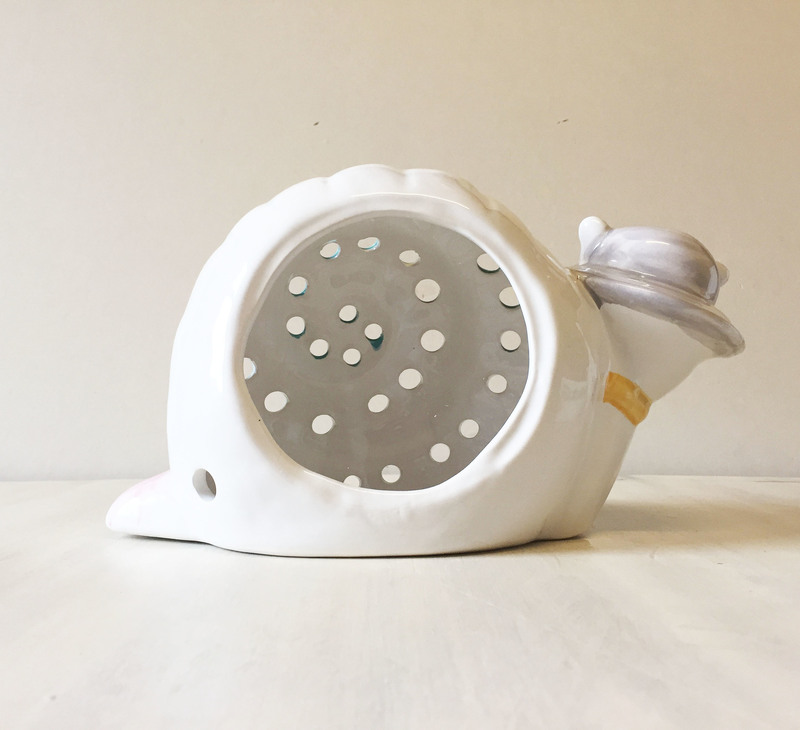 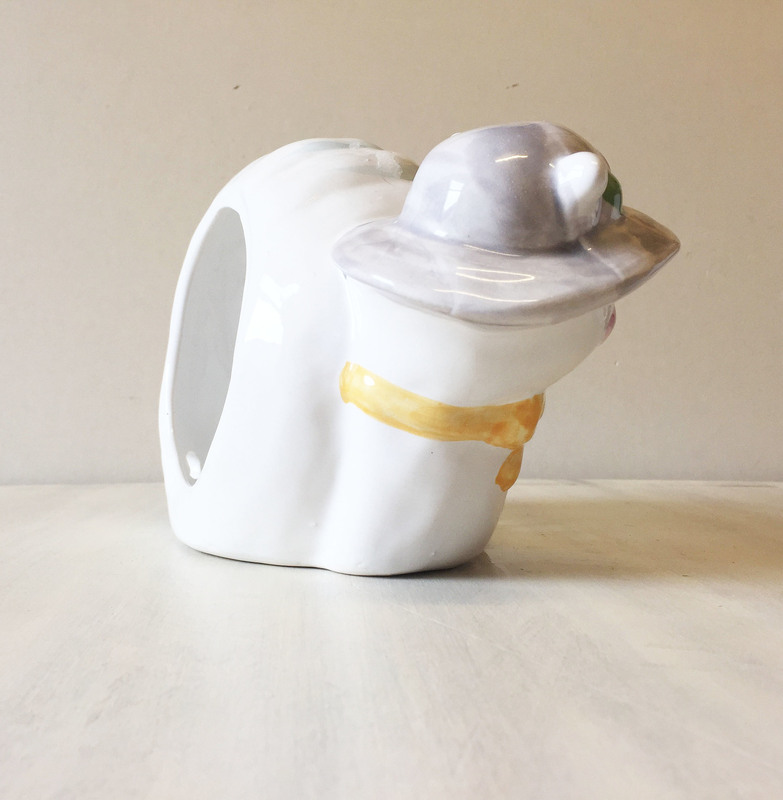 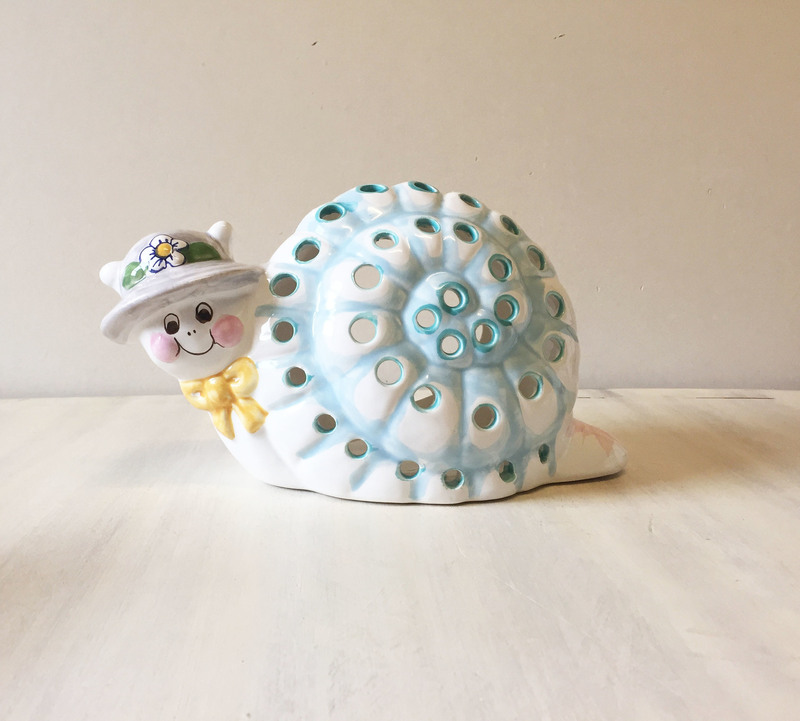 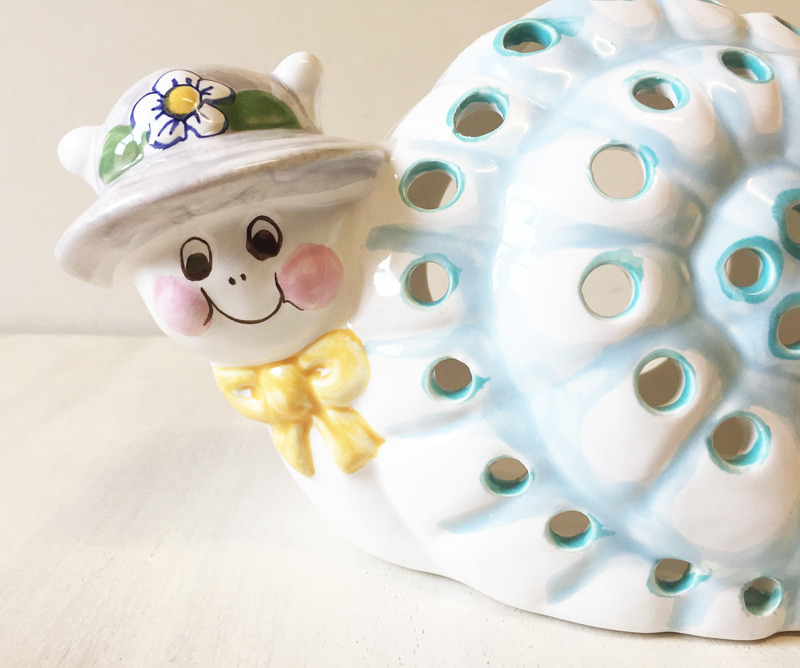 A cute vintage snail shaped nursery lamp base. 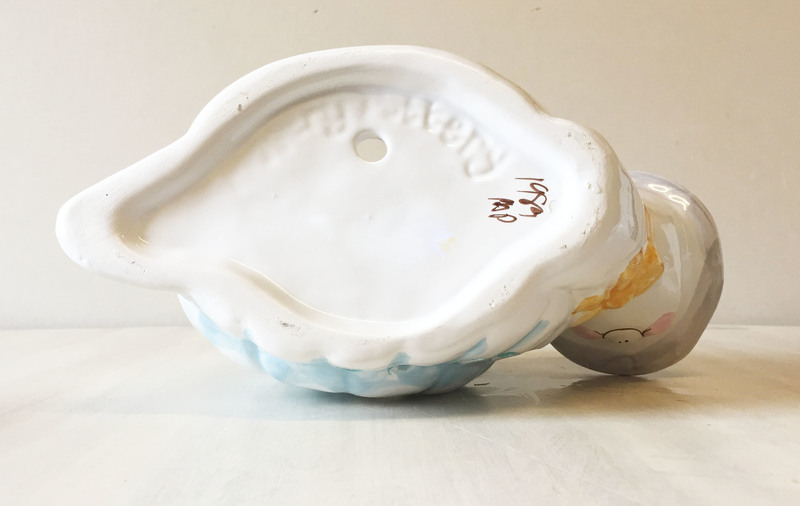 The lamp is in great condition with a small amount of crazing and is marked "MP 1989" on the bottom. 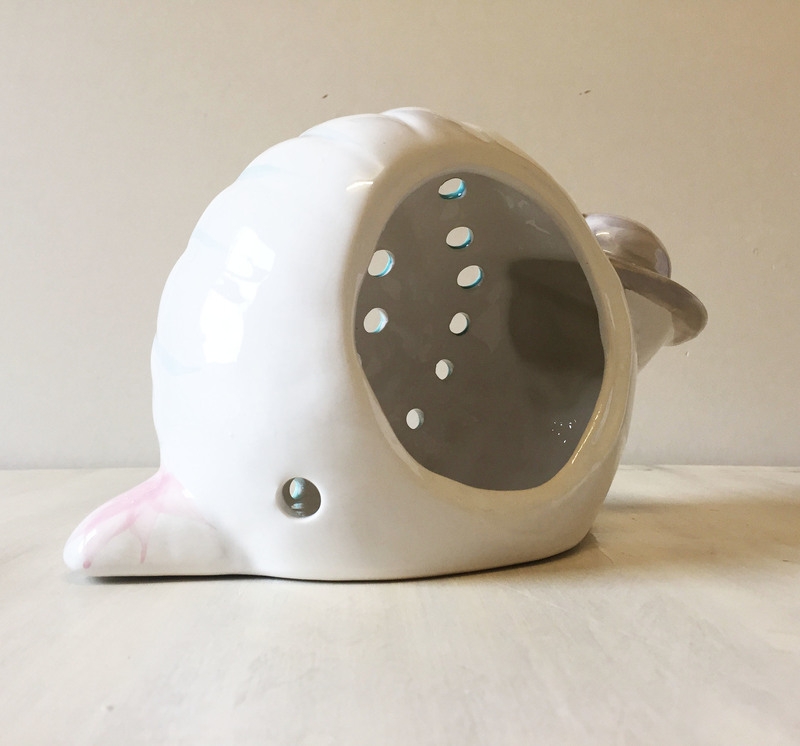 There's a hole on the bottom for a wire and he is just waiting to be rewired and turned back into a lamp. 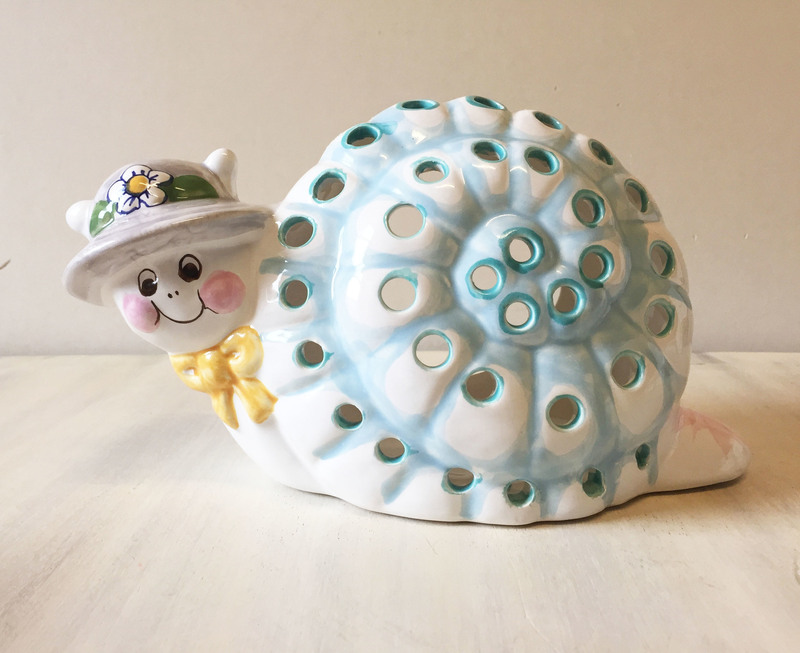 The snail measures approx 9" x 6.5" and 4.5" deep.